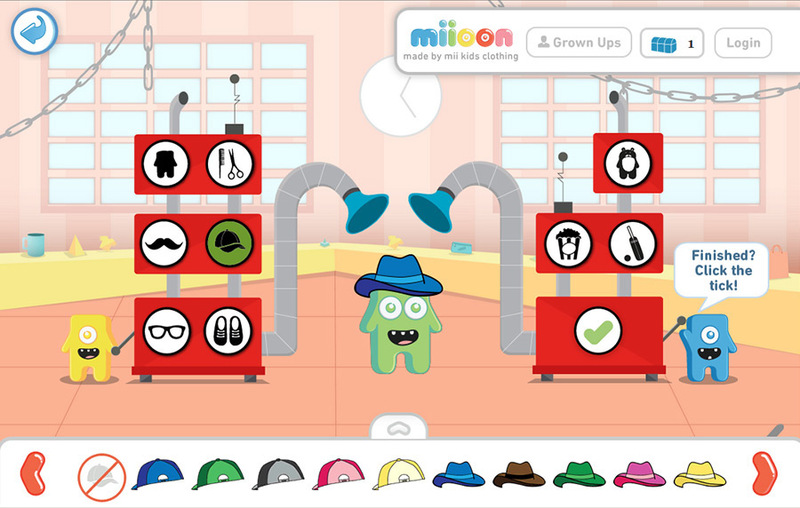 Miioon provides a range of customisable children’s clothes which the child can help design and build themselves online through a fun and interactive process. I worked with this client for several years producing a wide range of digital and print assets; from illustrations, packaging, clothes designs to their full ecommerce user journeys. 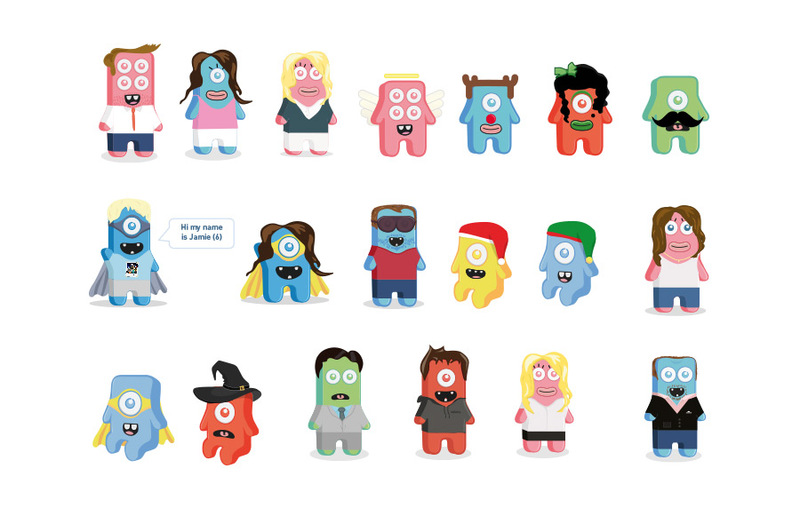 I designed and artworked up the full customer journey for the children to create their own Oon characters; which had to be fun and easy. The end game was for the child to design their own clothing. 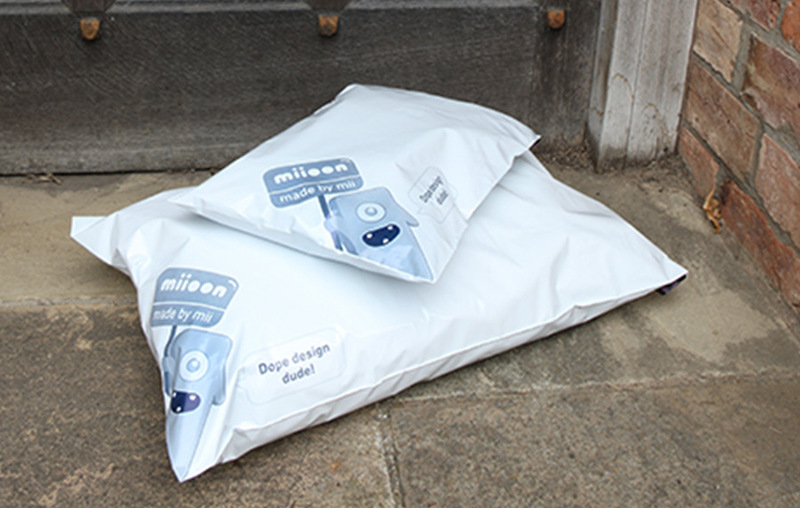 Clothes would then arrive in fun packaging that I also designed. Over time I developed and illustrated a large range of 'Oon' characters for various themes. Part of a journey I designed and artworked for a bespoke childrens clothing company. The journey had to be playful and easy for the children to interact with. 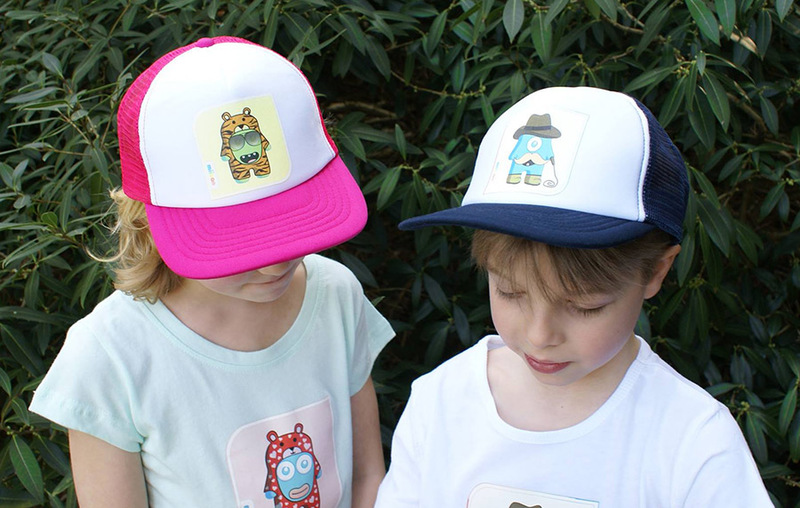 The process basically allowed the child to create their own 'Oon' to then print on an item of clothing of their choice.